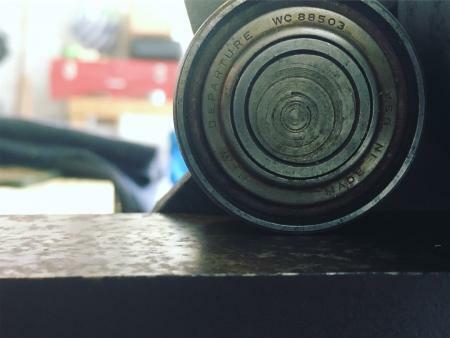 I finally got my unmarked freebie tabletop cylinder press cleaned up the other day and I took some pictures in the hopes of someone else recognizing it. Thanks in advance for any help! 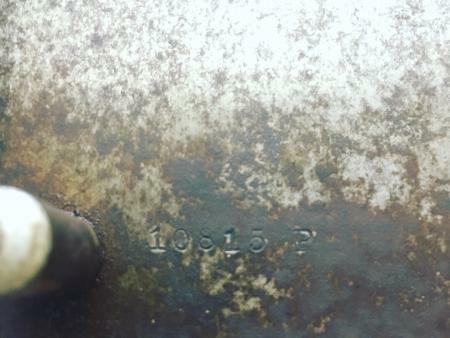 10815 P is the only mark on the bed and the cylinder is completely devoid of anyone attempting to take credit for such a machine. Maybe that’s a bad sign?? Any help identifying would be very helpful. The artist who gave this to me knew nothing other than whomever had his studio before him thought enough of it to leave it behind. It looks very similar to my challenge press. I can take some pictures when i get to the shop later. Sorry, it’s not a perfect match, Nolan made a very similar machine as well. 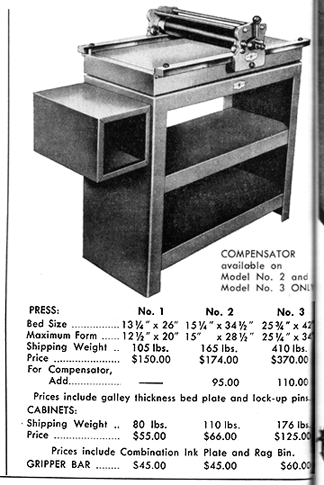 I have some old catalogs I can dig through and hopefully find something closer. I’m 99% sure this is a Nolan press. There are a few different models, the main difference being the design of the side-plates. It has almost the same bearings and hardware as the Nolan I used to own, and the roller dimensions seem to match also. There are a few different side-plate designs I’ve seen around. The older models have a shape that looks identical to your, but they usually have a cast “NOLAN” name on the outside of the plate which is missing in yours. I have attached a photo here to show a restored Nolan Old Style (sorry to the owner for not crediting, I know you are a poster here). Note the details like bed-pins, rail design, cap-nuts for the crossbars, etc. 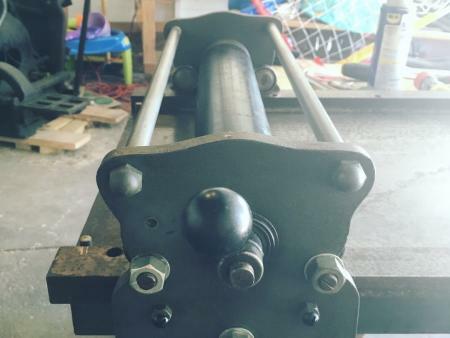 the offset rail-bearings are also seemingly identical (I tried finding photos to confirm the maker was the same, but didn’t have clear shots). After looking around online a bit more myself this morning, and coming across someone selling a Nolan, I am pretty sure as well that this is a no. 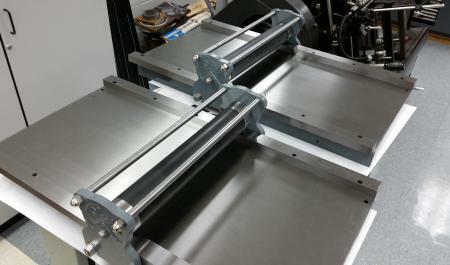 2 proof press. The dimensions are identical. Don Black is also selling one that looks identical to mine, including a lack of any maker’s mark. And thanks again to rmiller021 and to kimaboe for confirming what I believe I have found. Yep…. I’m with you fellas! It looks like the Nolan I had many years ago. 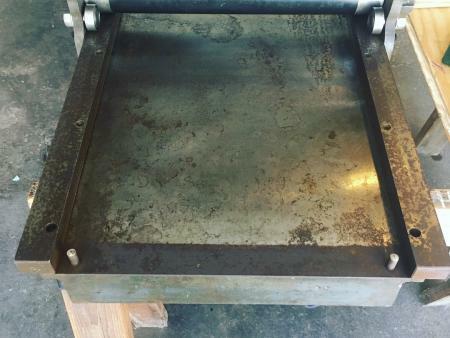 It’s a nice press. @rmiller021 - Did your press come with that gripper bar assembly? I am very interested in adding one some way to my press in order to be able to register multiple colors. They are not on his site, you would have to hit him up at a show or email him about them. So, I noticed on photo 5609 that it has an eccentric bearing housing. Is that for an adjustment for fine-tuning the height or is it to raise the impression cylinder off of the the paper? I love the simplicity of the press. Is anyone producing these today? Finger_Print: I am not sure, honestly. If you look at 5607, there is a handle on the one side that is connected to the cylinder that allows the cylinder move up off the rails ever so slightly. 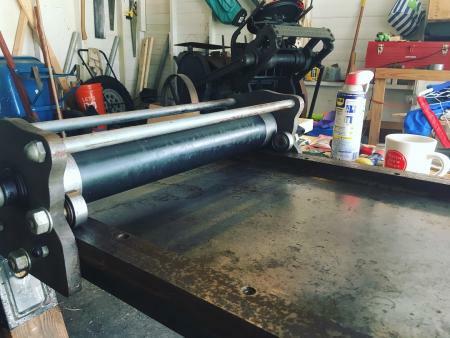 When I first looked at it, I thought that it was rather odd, as I had never seen one any other proof press before (until I saw Don Black’s) but the combination of both, allow the cylinder to roll properly back and forth. I have found the reason why your press is missing its “NOLAN”. The adjustment handle you mention was an option on the earlier Nolans, they called it the “compensator” which suggests to me it was for heavier stock rather than to avoid printing on the return journey. 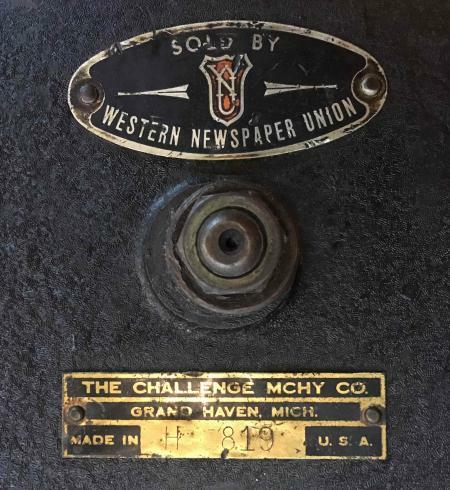 I don’t actually think I’ve ever seen anything but No 3s with that option, and it makes sense because it was expensive, an extra $95 on the No2, a press that only cost $175. I can’t imagine many buyers would be all that happy to spend an extra 40% of the price for a “luxury” feature they might never use. 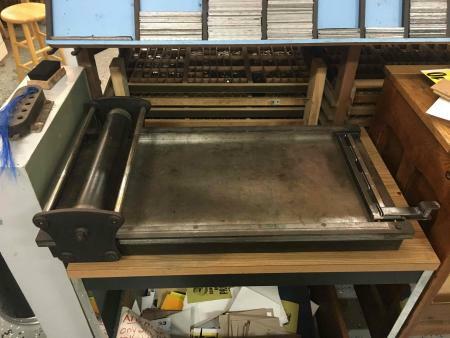 The fact that the square-plate generation did not have the handle as an option suggests it was not popular enough to warrant the extra complexity in production required for two types of press. The Nolan sideplate had to be redesigned because the compensator handle takes up more space. And even if they’d added a smaller cast-logo, it probably wouldn’t look as nice behind the handle. Instead, they added the small bolt-on plate you see in the below illustration. And because these presses usually sit with one side against the wall, there was no point in putting the Nolan on the other plate either. kimaboe: Thanks for the info and for the link! I really appreciate all the help from everyone.